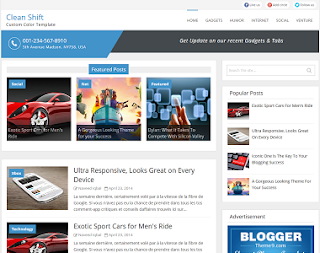 Clean Shift Blogger Template is a elegant design theme with custom colour template. Table inside post area are enhanced to look professional. Lets say you've some posts with no images. Thumbnails on popular and recent posts gonna replace it with 'no image available.